Those cops don't have clue what Khalistan is. They thought it was meant to be an ethnic festival and we're flying the flag for good community relations. Guys, by now everyone has heard of the CRA tax scam in Canada. The fraudsters were traced to India. Pretty serious swindle! But look at the comments to the CBC story. Some nasty stuff. Many of them are Paks and Chinese, but the majority seem to be Caucasian or of other ethnicities. I suppose the haters will use any excuse to hit out at India. Still, the sheer number of vicious remarks are upsetting. Should we expect this sort of stuff on a regular basis? Varoon Shekhar wrote: Should we expect this sort of stuff on a regular basis? You mean some criminal will commit some crime online? You bet. No offence, but what's the point of asking such rhetorical questions and hyperventilating over it? I don't know what this scam is about (hasn't made it to the news cycle here afaik), so can't speak to what some news portal comments say. Even if I did, I am sure these comments are at the same daily mail level of "they took aid from us and built statues!!" So, waste of time. Came to this thread thinking some genuine news has come up. Sigh. There wasn't a single mention of aid to India, among the hundreds of displayed comments. There were remarks like "India=scam", "Nuke them", "Use the money( from the fraud) to build toilets", and so on. The CRA( Canadian Revenue Agency) tax scam was big news in Canada. In the US, it was scamsters posing as IRS officers, demanding back taxes that were supposedly owed. I think it's fair to pose the question as to whether a major scam like this will negatively affect India. Probably the Indian government, as a sop to overseas Punjabis, and also as part of the peace and healing process in Punjab, took many people off the banned, no-entry list. Atwal was one of those. Given the seriousness of their crimes, it's arguable whether they should have. But highly unlikely to be a conspiracy. Dosanjh is a real voice of rationality and sanity among the ethnic Punjabi/Sikh community in Canada. Of course the Khalistani lunatics will hate him, and desire to silence him. May his tribe multiply! This raises the question of why Canada — not the United States — is the main target and brings us to the second factor: the prevailing tensions between the United States and China. China’s ability to retaliate against the United States is likely reined in by its desire to reach a resolution to the ongoing trade dispute between the two. It has become increasingly apparent that China’s economy is at a tenuous juncture in its development and that shocks potentially threaten the achievement of key goals. I think relations with Canada will be frosty till Trudeau sees the light of all terrorism is bad and not ignore terrorism directed to India. Since this won't happen expect the chill till Trudeau is voted out of office. Mexican economic wall Is it US response to China's Tariffs / to reduce dependency on China? Persaud’s defection set in motion far more than fresh elections and a likely change in government. It is potentially the first shot in a destabilizing fight between Guyana’s ethnically Indian and African communities to control the spoils from a tidal wave of oil money as production from the offshore Liza field begins in 2020. To exacerbate the situation, the collapsing socialist regime of neighboring Venezuela continues to assert claims on part of that oil and a third of Guyana’s national territory. Leveraging the greater size of the Indo-Guyanese population relative to the Afro-Guyanese supporters of the PNC, (40% Indo-Guyanese versus 29% Afro-Guyanese according to the 2012 census), the PPP, under Bharat Jagdeo, held onto power without interruption from 1992 through 2015. During this time, the Indo-Guyanese came to have a particularly strong presence in the Guyanese bureaucracy, complementing their longstanding dominance of the business community, while the Guyanese Defense Force (GDF) and police have been dominated by Afro-Guyanese since their inception. While the amount of oil is modest by global standards, once at target production levels (probably in 2025), Guyana will rival Mexico and Venezuela as an oil producing nation. The transformative potential is significant in light of the country’s small population of 750,000. The additional income from the salaries of oil workers, construction, contracts to support the development and operation of the fields, and the ripple effect on the Guyanese economy will be enormous. Some estimate that the country’s modest $3.6 billion GDP could triple in five years. Guyana’s capital Georgetown is already awash in new commercial real estate projects and other ventures in mere anticipation of that money. Complementing such benefits, royalties and other payments passed by Exxon to the Guyanese government could double the national budget. Guyana, Surinam and French-occupied Guyana has significant but sparsely populated land available. In Guyana and Surinam Indians form a significant portion of the population. About 75% of Hindus have remained Hindu over there. However, due to poor economic conditions many have been migrating to north AMerica. Oil wealth will develop the economy and will require immigrants. This is an excellent opportunity for Indians to settle the land. I have long argued for consulates of Guyana and Surinam in Eastern UP and BH where the majority Bhojpuri population comes from. This will facilitate cultural exchanges and inform people about the possibility of migration to these countries. I have pointed out previously one type of dog whistle racism. 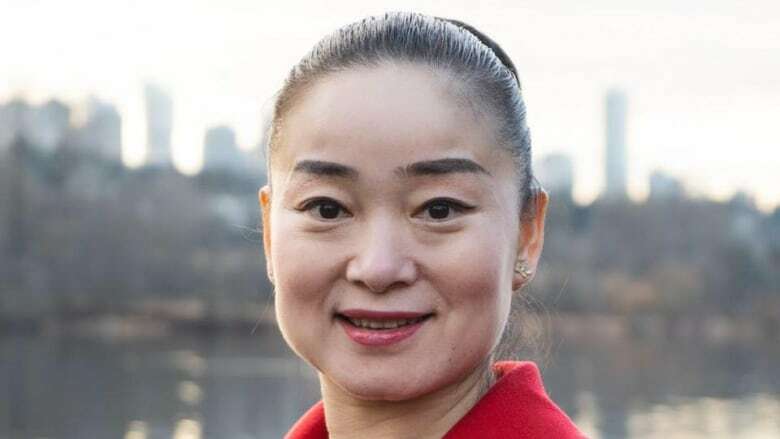 The news article features a close up of this civilised Chinawoman, emphasising her alien physiognomy. Very racist of the media.